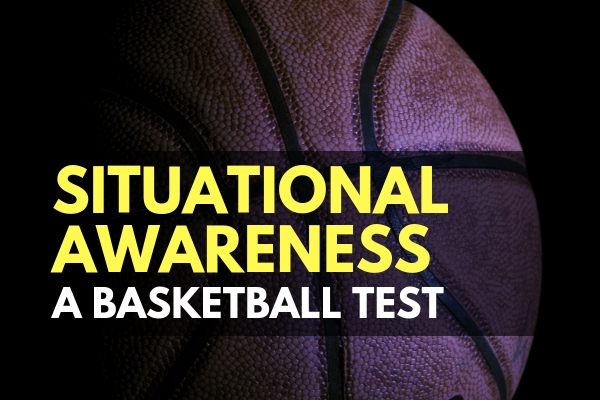 Have you taken the situational awareness basketball test? It is a short video that tests your awareness and attention to detail. If you don’t know about it, we’ll get to it in a second. Situational awareness is earned with practice and wisdom, yet it is still something that can be taught. When you find yourself complacent, you slowly lose it. When you follow the basics, you slowly improve it. When you focus on situational awareness too hard, you can even be counterproductive. How so? Let us get back to the basketball video. Did you get the number of passes correct? Did you get the number of passes correct in this video? Now you have scrolled far enough into this post for us to address the spoilers. Did you see the gorilla or the bear? Half of the people who watch this video and followed the instructions to count the passes missed the gorilla entirely. A study conducted by Harvard noted this phenomenon and stressed how there is so much in life that we miss. We are bombarded by information and stimuli from our senses, and our brain attempts to sort out what is important and what isn’t. If you watched either video looking for a bear or gorilla, were you still able to count the passes? The inattention works both ways, and the passes become much harder to count when you are observing what the bear or gorilla is doing. How do I Not Miss Gorillas? There is no good method for noticing every possible thing. We biologically can’t. It’s science. What we can do, though, is improve our situational awareness by telling our brain what to prioritize. Next time you see either of these videos, you’ll know what to expect. You have gained experienced the exact or similar situation and gained some wisdom. This same experience and wisdom can apply in other scenarios as well. The saying goes “practice makes perfect”… but it doesn’t. There is no ‘perfect.’ All practice does is give you experience that you can lean on when you actually need to apply your learned wisdom. There is no substitute for living through the real thing, but practice sure does come close. If you are routinely prepared for typical problems, you will more easily notice strange things around you. Suspicious people and events will stand out much more clearly in situations that you are comfortable in. 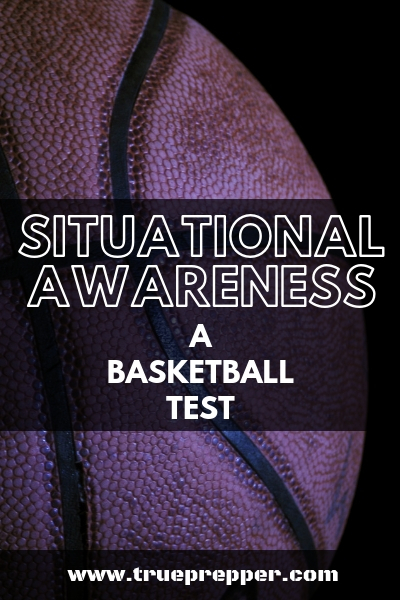 The situational awareness basketball test has been around for a while, so you may have seen it before. The clothes may have been a dead giveaway. Even still, revisiting the lesson it teaches us is important. Complacency creeps in for even the most vigilant. If you are not focused on continuously improving your skills, they are eroding. Stay aware of the risks that could effect you and prepare accordingly. Keep exploring, stay prepared, and be safe.